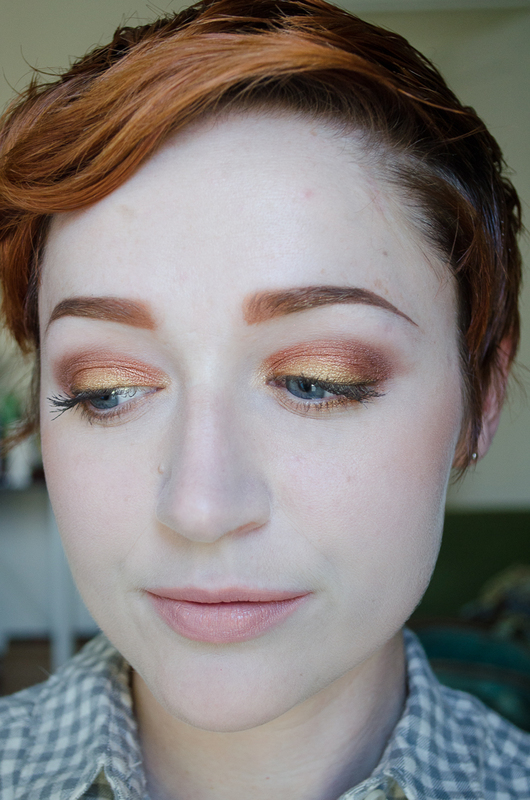 Not all golds look good on my skin, so I was delighted to find that Hello Waffle’s 1000 Likes shadow was PERFECT. It’s a warm, darker gold, without traces of olive tones that you sometimes find with gold shadows. 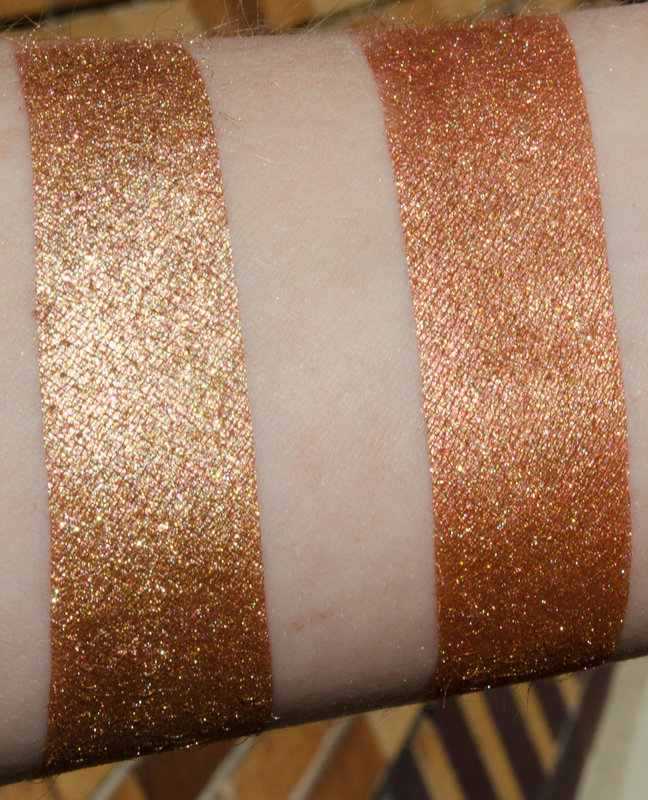 It also has the characteristic incredible pigmentation of Hello Waffle shadows. The top half of the above swatches are over Urban Decay Primer Potion, and the bottom half are over Darling Girl. As you can see, there really isn’t any difference in application between the two. 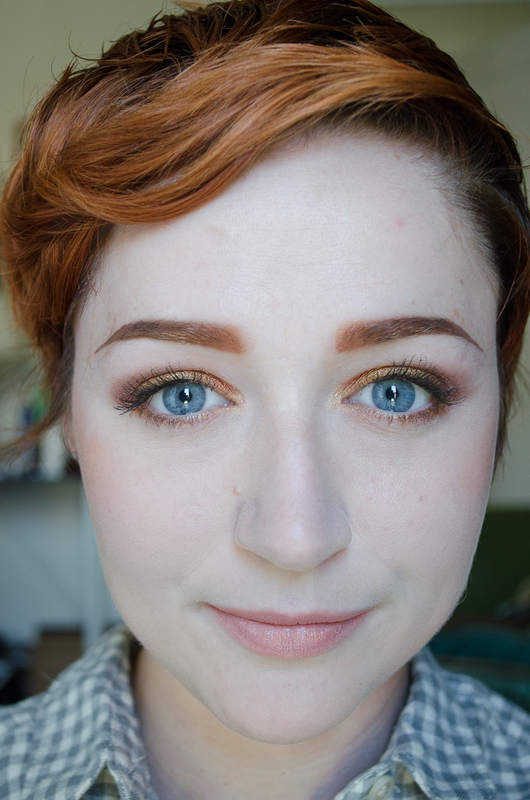 I’m a firm believer that eyeshadow should be applied over a good primer, but the shadow performs really well over bare skin as well. This alone is a huge reason why everybody should try Hello Waffle shadows (among the many, such as adorable packaging, creative themes, and a great owner). Darling Girl Fira is another coppery color, darker and more red than Enabling. It has purple-y colored sparks in it, and at different angles it has a little bit of a gold-toned shift. I love Darling Girl’s shadows for their clever color combinations and Susan, who runs Darling Girl, has a great eye for interesting color shifts. I found this shadow performed better over Glitter Glue than just primer alone, but the difference wasn’t huge. For the eye, I applied 1000 Likes across the lash line and about halfway up onto the lid. I used Hello Waffle Enabling above and around 1000 Likes, across the rest of the lid, into the inner and outer corner, up to the crease. Darling Girl Fira was used in the outer portion of the eye and along the crease, and then slightly blown out above the crease. I did use a very tiny about of Shiro Ganondorf along the lashline, Shiro PErfect World in the tear duct, and also used 1000 Likes and Enabling along the lower lash line. I don’t play around with my eyebrows too much, but Enabling was just so pretty that I couldn’t help applying some to the inner edge of my eyebrow, and blending it back a little bit. I added a touch of 1000 Likes for good measure. 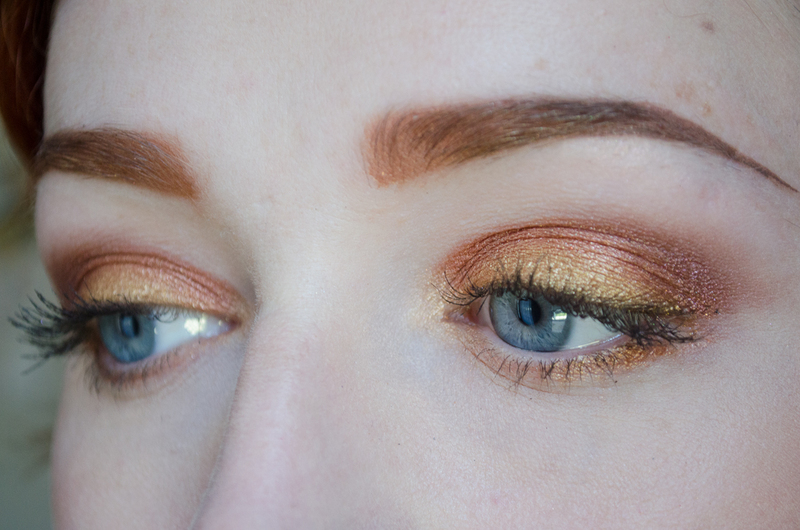 I think all of the shadows combined to make a gorgeous burnished look. I applied everything over NARS smudgeproof primer first, then patted Darling Girl Glitter Glue across the lid, and reapplied shadows in areas that I wanted to have a more intense shine. Hello Waffle has been dominating my blush usage recently, and I got a chance to use the Pumpkin blush for the first time today. 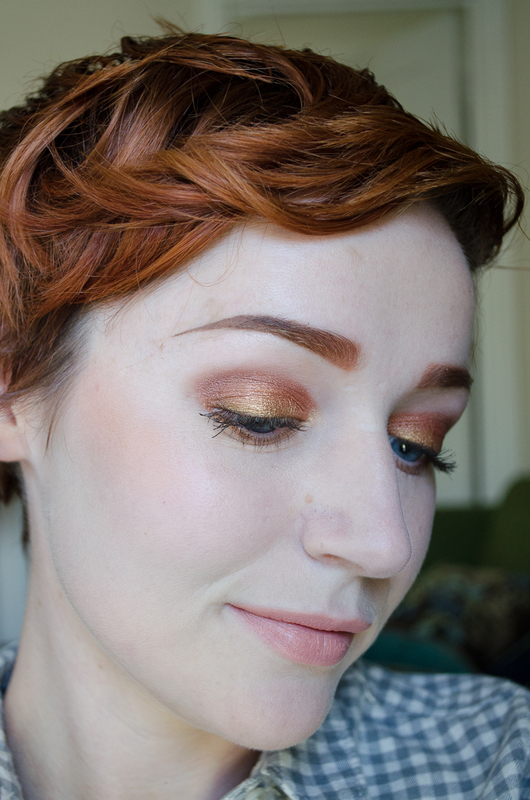 I love orange blushes, and boy is Pumpkin orange! 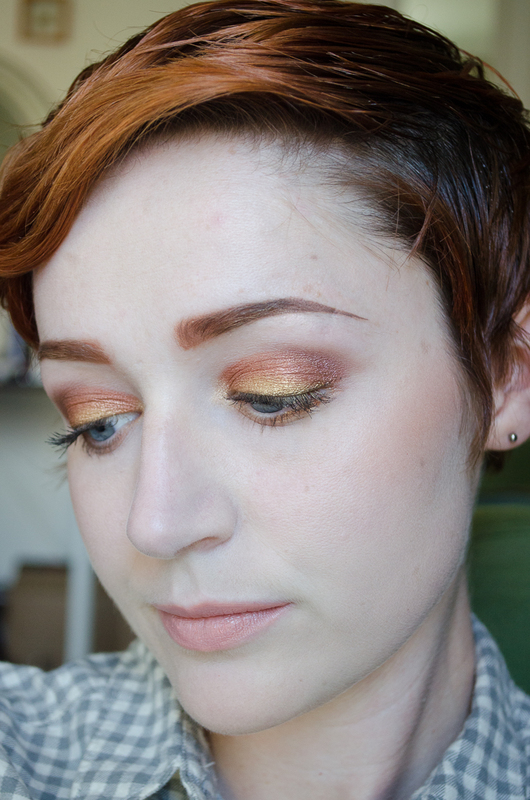 It’s a brighter, more yellow-toned orange than I’ve used before, and I am kind of in love with it. As with the other blushes I’ve tried, I found it to have excellent pigmentation and it blended out really well. I can’t really use a picture to illustrate this next product, because it’s one of those ‘invisible’ ones, but I used Blackbird Cosmetic’s Magic Trick Super Powder in Green today, over my primer and under my foundation. 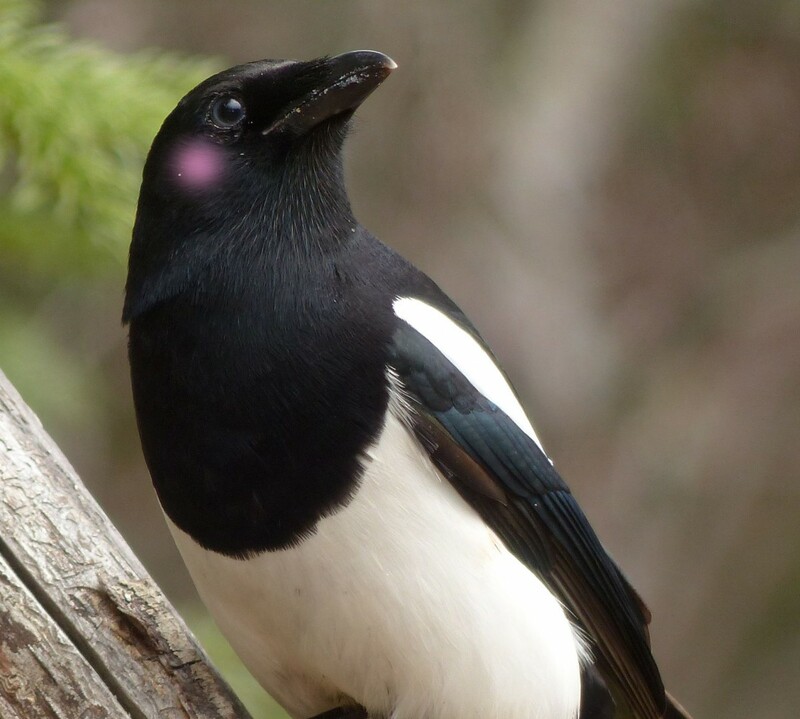 I don’t usually use this method, because my skin seems to look worse with it than just applying foundation over the primer, but I think Blackbird’s Super Powder is an exception to this rule. The green is a bit more minty than Shiro’s Always Angry finishing powder (the only other green indie finishing powder I’m currently aware of), and I think the cooler tone works better with my skin. I think it did a good job canceling out the redness I naturally have, which allowed me to build up the orange blush more as a truer orange, than the baby pink my face seems to turn every color into. I’m excited to continue to use my green powder sample to see how I like it over time. Hello Waffle Enabling, 1000 Likes, and Darling Girl Fira, a little Shiro Gandondorf and Perfect World. These shadows are BOSS! Hello Waffle’s shadows especially stood out to me today, as they often do, for how well they blend and how pigmented they are. 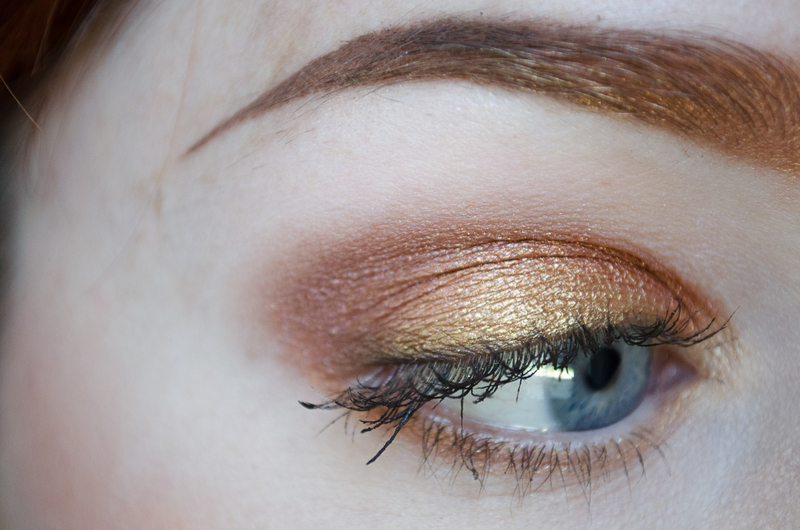 The first Hello Waffle shadow that made me say ‘WOW’ was Debussy (used here) and these shadows are absolutely of the same caliber. I think everybody played well with each other today, and Darling Girl’s Fira shadow is an excellent, darker flame-y color. 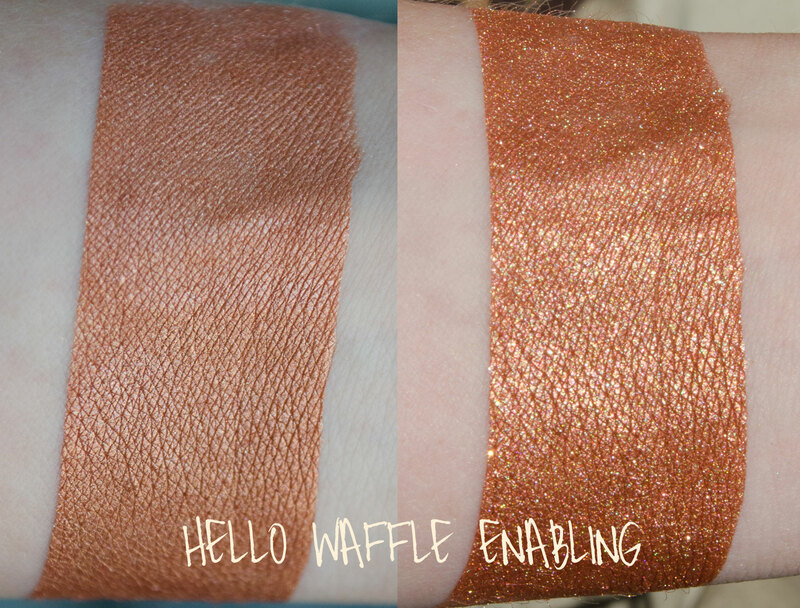 If you haven’t given Hello Waffle or Darling Girl a try, I strongly recommend them both, for the quality you will receive as well as the imaginative colors you can get from both places. 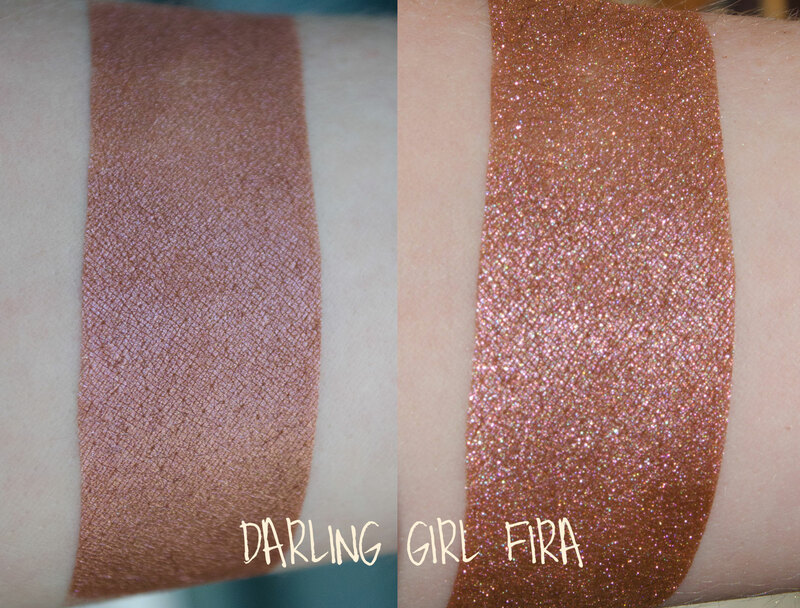 What’s your favorite Hello Waffle or Darling Girl shadow? 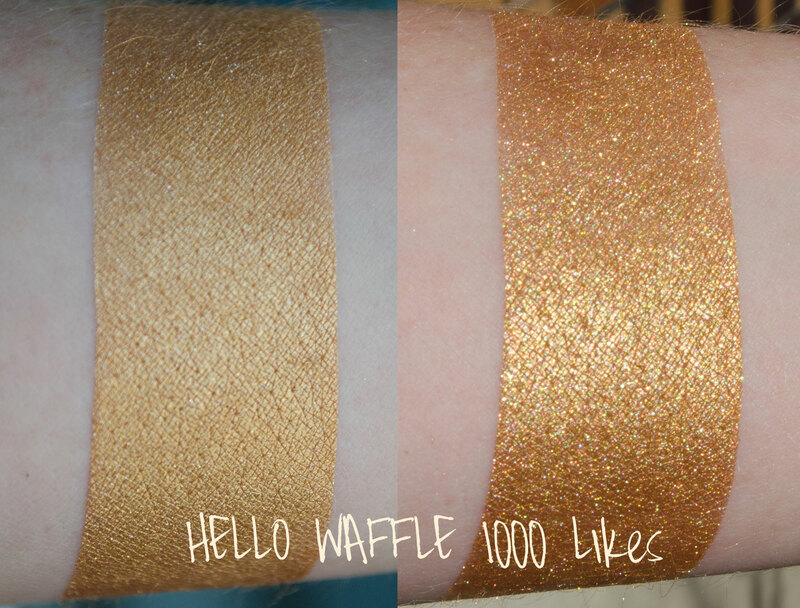 I don’t even think I can choose a favourite Hello Waffle shade. Perhaps Mendellsohn or Corgi Butts? Those are colours I tend to reach for all the time, anyway. I have both Enabling and 1000 likes but haven’t worked them into a look yet, I shall try that tonight!